See the form for directions on where to send your application. To determine the status of pending applications. For status inquires, write to the USCIS office where the application was filed or call our National Customer Service Center at 1-800-375-5283. 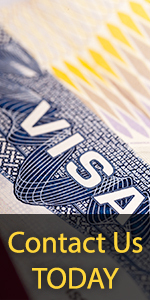 For consular notification of a visa petition approval, use Form I-824 (Application for action on an Approved Application or Petition). For the return of original documents, use Form G-884 (Request for Return of Original Documents). For records of naturalization prior to September 27, 1906, Write to the clerk of court where naturalization occurred. For information on USCIS manifest arrivals prior to December 1982, write to the National Archives. To obtain proof of status (i.e., Social Security benefit, Selective Service requirement). Certifications: Certification of Nonexistence of a Record involves an agency decision. The Office of Records Management prepares this documentation. Requests for this service should be addressed to U.S. Citizenship and Immigration Services ATTN: Records Services Branch, 111 Massachusetts Avenue, N.W. 4th Floor, Washington, D.C. 20529. The fee charged for a FOIA/Privacy Act Request may vary. See the instructions on the form itself for further details. You do not need to send any money with your request.